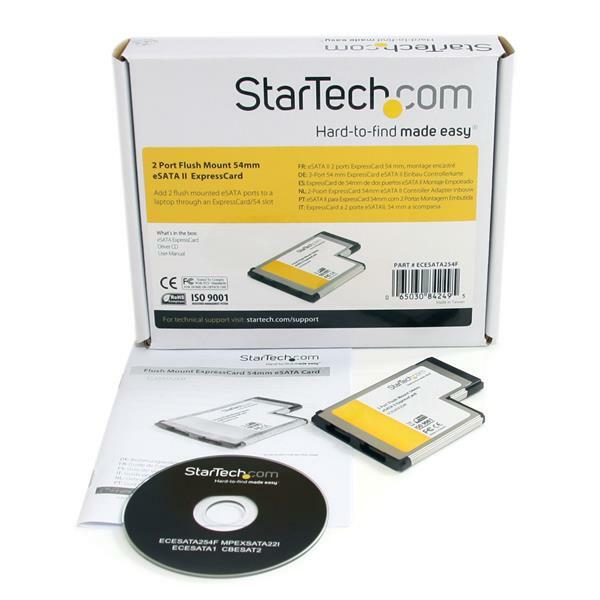 The ECESATA254F Flush Mount 2-Port eSATA ExpressCard Adapter uses a unique slim 54mm form factor design that allows it to sit fully in a standard laptop ExpressCard/54 slot without sticking out. When installed, the ports sit flush with the sides of the laptop, creating a seamless add-on that can be left installed at all times, without fear that it or the card slot will be damaged due to snagging or impact. 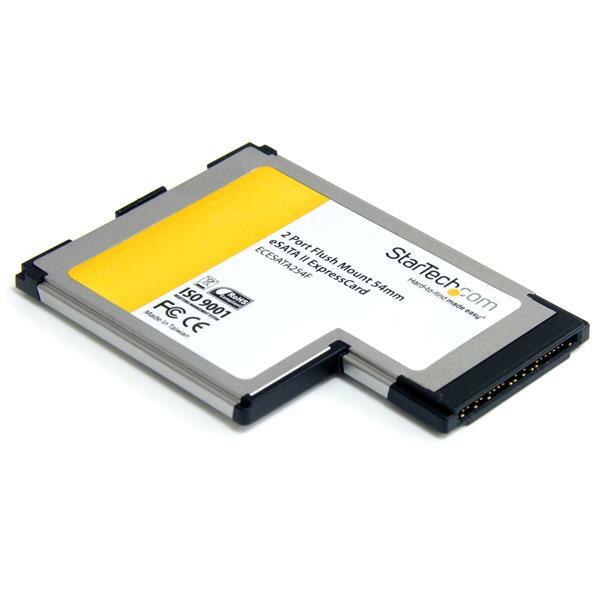 The eSATA ExpressCard adapter features 2 independent eSATA ports, and is compatible with the latest high capacity SATA drives (SATA I, SATA II) with support for data transfer speeds up to 3 Gbps. With support for Port Multiplier technology and hot-swap installation, the eSATA ExpressCard allows compatible multi-drive enclosures to be connected over a single eSATA cable, and devices can be connected and disconnected without having to reboot the system. 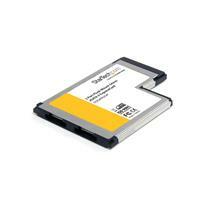 How do I install my hard drive controller card in Windows? Right-click SCSI and RAID Controllers, which will have a “!” or “?” next to it to indicate a driver issue. Browse to the extracted folder from Step 2. Open the Manual Drivers folder. Open the folders as appropriate for your system type and hardware. Click the SI3132.inf file. Click OK, and then click Next. Additional device listings will appear in Device Manager. How can I check if my expansion card is properly detected by Mac OS? In the upper-left screen, click the Apple icon.